Rolling R-word's (Trademark Pending) updates.. It's funny, as the Browns are hopefully returning to respectability, the Redskins are taking their place as the most dysfunctional/pathetic organization in all of pro-sports. Just realized.... Cowboys won in 09 and 14 while the R words won in 05... So it's a tie. Thatas what I mean to say, but yes it’s still laughable. Here’s what will get you fired from the Washington Redskins: honesty. The quickest way to lose your job is to refuse to parrot the institutional lie. Safety D.J. Swearinger Sr. was cut for running his irrepressibly honest mouth about their coaching weaknesses. Chief operating officer Brian Lafemina was let go for honestly acknowledging their lousy business practices and busting the myth that there is a waiting list for tickets. The mistake of both men was in trying to make a difference, to swing the organization in a winning direction, by calling it out. These are the kinds of people who invariably end up cut or tossed to the curb by the Redskins, while the enabling go-alongers and happy-talkers remain. Swearinger tried to change the "culture” in the locker room with his insistent if unwelcome verbal accountability; Lafemina tried to change the culture in the ticket office by treating fans "the way they ought to be treated.” Neither was able to counter the no-standards, self-deceiving culture that owner Daniel Snyder has built over nearly two decades, with his insistence on punishing everyone else for his own bad news. There is no hand firm enough to pull this franchise out of its crazy gimbal-lock spin, the constant pitching and rolling and yawing from Snyder’s unsteady hand on the controls. Only the yes men can survive it. Swearinger is gone in less than two seasons despite being a Pro Bowl alternate, while Coach Jay Gruden has lasted for five years with his easygoing, uncomplaining pliability. The well-respected Lafemina was on the job for just eight months before he was offed the day after Christmas, while Bruce Allen, the team president, still marches on as the grinning, glad-handing false front for the owner’s impatience and back-hall chaos. The backstab, the gaslight and the broken promise are the hallmarks of this club. Anyone who won’t peddle the chronic lie that they are just one or two good players away from a Super Bowl gets the hatchet. Time and again, passion players get pushed out the door in favor of pay-checkers, and all the wrong, insipid front office people are rewarded, and the right ones are dismissed or devalued. So much for institutional integrity. Should Swearinger have said it? Probably not. But Gruden won no trust from his players by perpetuating the idea that Swearinger was the Redskins’ worst problem, when everyone knows he is as dedicated and smart as he is indiscreet. Won’t men be lining up to give the Redskins the last full measure of their devotion after this? A team that already had a reputation for long-term toxic malaise now finds itself in perhaps the most dangerous state of the past two lousy decades: only career desperados will work for it. Anyone with a real future, anyone who is not a total wreck-reclamation project, has zero incentive to sign with these jokers, unless it’s for a cap-destroying amount of money. If you think otherwise, check out the torrent of truth-telling on social media in the immediate aftermath of Swearinger’s release. "Some [expletive] is impossible to understand,” all-pro tackle Trent Williams posted on Instagram. The front office’s record of stunning misjudgments under Snyder has become truly remarkable. The chronic lack of self-honesty means there is no ability to diagnose good decisions from bad and to learn from mistakes. Quality people are therefore pushed out or their value is ignored over and over again, with the only difference in the details. 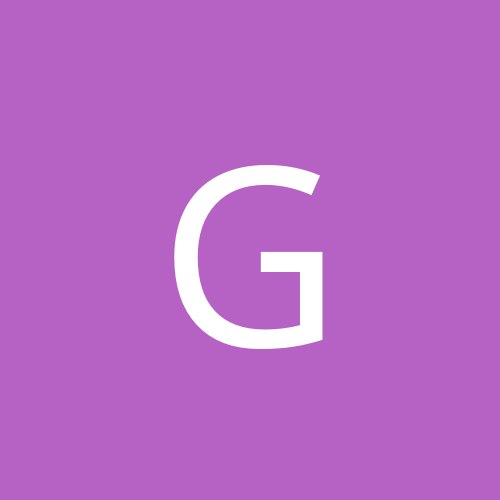 Norv Turner was fired for being too mild, and Mike Shanahan for being too harsh, though both produced 10-win seasons, of which there have been just three in Snyder’s 19-year tenure. In the search for a successor to Joe Gibbs, the natural choice was Gregg Williams — but instead the Redskins fired him for his bluntness and went with the untried Jim Zorn. Instead of identifying the budding play-calling talent of Kyle Shanahan, they reviled him in favor of the destructive superego of Robert Griffin III. They let the brilliant Sean McVay walk out the door and straight into a coach of the year award in 2017, then granted an extension to Gruden. And of course, they fired respected talent evaluator Scot McCloughan, though he gave them their first decent draft in years. Come to think of it, you could make a pretty good staff out of Redskins discards. It will be highly interesting to see what becomes of the Cleveland Browns, who suddenly have an exciting future with McCloughan as a roster consultant and Williams as their interim coach, stewarding rookie quarterback Baker Mayfield to a 5-2 mark. Williams will get a head job somewhere. If not in Cleveland, then in another city. Why on earth would he even consider Washington? Why would anyone? Perhaps Gruden will keep his job, or perhaps not. Perhaps Snyder will finally jettison Allen, or perhaps not. History suggests it won’t matter in the least. Snyder’s regular season record as an owner is 139-179-1, and he has never had a team win 11 games. There is a distinct pattern to his tenure, a wobbling repetitive cycle, with periods of total disintegration, and then the spin starts again. This organization simply cannot put good people in place and hold them there, because it has no tolerance for truthfulness and therefore no coherent values. Spot on article. A new low, even for the Redskins. They are an absolute joke of an organization. LaFamina basically said that he wants to "put the fans at the center of every decision", and the Snyder turned around and fired him. Sound right. 1. The Redskins’ organization certainly does seem to stink from the top down. 2. It’s hilarious that Sally Jenkins lies while preaching honesty. 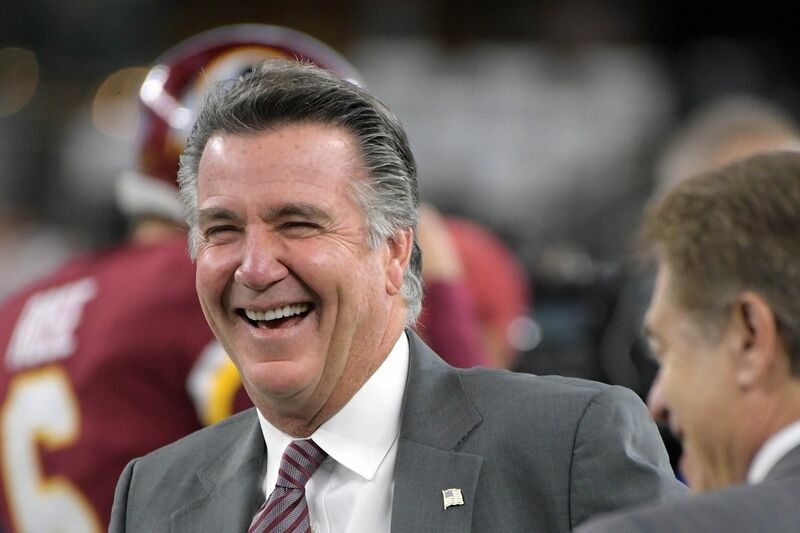 The visionary leadership of President Bruce Allen and owner Dan Snyder continues to be a blessing for Redskins fans everywhere. Perpetual glory has a tendency to spoil a man. Such is the case with the embarrassment of riches to which Washington Redskins fans have become accustomed over the past two decades. Yet, despite this unparalleled streak of success, there still seems to be no end in sight to the shrewd stewardship of one of the premier franchises in all of sport—nay, one of the premier organizations in all of business! This week’s news provides the latest in an endless line of examples of the Redskins’ organizational excellence. After only eight months on the job, COO Brian Lafemina has parted ways with Washington, along with three other high-ranking business ops employees Lafemina brought with him to the team. Whereas a lesser organization might have let the highly-respected Lafemina continue on for at least a full year in his efforts to refocus ticket-sale efforts and improve fan relations, the Redskins know better. 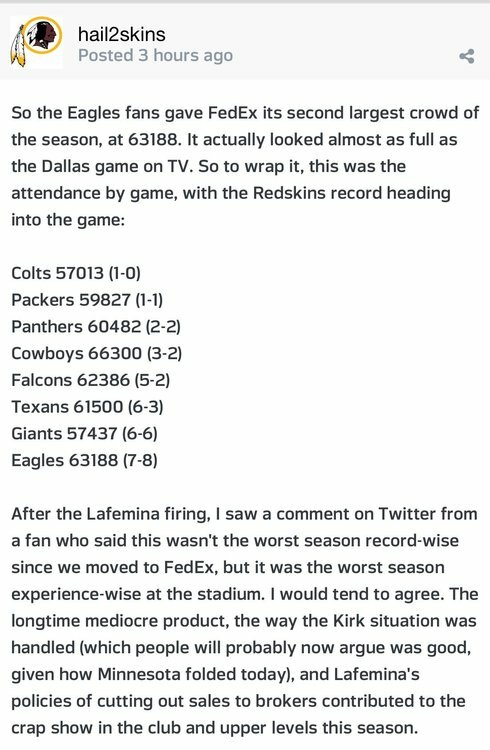 You see, Lafemina made the tremendous mistake of attempting to deal with reality on reality’s terms, actually admitting publicly that the vaunted Redskins’ season-ticket waiting list no longer exists. This flies in the face of Redskins’ PR best practices. Specifically, admitting there’s no waiting list reflects a loser mentality. The Washington Redskins are winners. They’re aspirational. If the organization wants there to be such high demand to see this team play that there’s a season-ticket waiting list, then that list exists. Period! Unfortunately, Lafemina didn’t understand the Washington Redskins’ culture before he arrived in Ashburn. Lafemina is no fool, though. He had become painfully aware that he was a bad fit, and he had evidently planned to bail on the team. Being the exceptional leaders that they are, once Dan Snyder and Bruce Allen caught wind of Lafemina’s plans, they wisely were never going to give him the satisfaction of leaving on his own terms. Thus, they preemptively fired him. This type of reaction is what makes the Redskins’ head men such a formidable duo. They understand that it’s important to assert dominance over employees in this way in order to remind the remaining staffers—as well as the public—who wears the crown. Mediocre leaders might care about things like &quot;is firing someone the day after Christmas tone-deaf?” or &quot;does this look like a craven attempt to distract fans?” or &quot;does anybody think we know what we’re doing?,” but you won’t see any of that nonsense coming out of Redskins Park! There, leaders are sharp enough to hide behind generic &quot;we can’t comment on personnel matters”-type statements and simply removing the fired employees’ names from the team website rather than addressing the issue substantively. Speaking of Cardinals—let’s talk about another brilliant move: cutting D.J. Swearinger. As everyone reading this knows by now, the oft-released Swearinger undermined the credibility of the coaching staff by airing complaints related to preparation and/or play-calling at several points this year. Another, weaker team would have tried the cowardly approach of finding an effective way to handle the conflict behind closed doors in order to prevent it from repeatedly boiling over publicly. By contrast, Bruce Allen and company astutely chose to permit Swearinger’s grievances to blossom, until such time as the front office bravely released the 27-year-old safety (coincidentally within hours of being eliminated from playoff contention). It would have been all-too-easy for the Redskins to continue to tolerate Swearinger’s disruptions. After all, he’s a solid player, as evidenced by his status as a Pro-Bowl alternate. But that wasn’t going to happen on Bruce Allen’s watch. I applaud President Allen for sending a clear, unmistakable message: when it comes to building a roster, some things are more important than on-field talent! And, just days earlier President Allen also had the smarts to claim Reuben Foster, a very good player that the 49ers had just released. This move also showcased President Allen’s pristine football acumen—a carefully crafted philosophy that helps Washington build the best roster possible by jettisoning malcontents like Swearinger and snapping up potential contributors like Foster. I think it’s that principled, thoughtful, consistent methodology that has cemented President Allen’s legacy as one of the greatest football minds of this or any other generation. That’s also why it pains me to see a small-but-vocal minority of fans impugn the good name of President Allen, including an unfortunate hashtag that I won’t stoop to repeating here. I suppose that the ignorant cries of ungrateful rabble is the thanks President Allen gets for all of his tireless work. Ditto Dan Snyder. It’s almost as if fans don’t know—or, worse, don’t care—that the value of the Redskins’ franchise has skyrocketed to $3.1 billion in recent years. That’s what success looks like, folks! I’d love to explain in painstaking detail to these cretins that the purpose of a business is to make money. Duh! But it’s not just the money, of course. It’s all the winning. The non-stop, overwhelming, glorious winning. Well, try this one on for size, pencil-pushers: President Allen has overseen an impressive 59 victories since coming to the Redskins. That’s 59 great memories for all of us! Fifty-nine terrific days that have helped endear President Allen to Redskins fans the world-over! And that’s to say nothing of the longer-tenured Snyder, who has presided over a whopping 139 wins during his ownership of the club. You do the math! I want to be clear on this point, though: Over and above the immense monetary value President Allen and Mr. Snyder have added to the franchise, and even beyond all the wonderful moments for which we all owe them an undying and unpayable debt of gratitude, is the creation of that culture I referenced earlier. One cannot put a price tag on that aspect of their achievements. People may throw around words like &quot;toxic,” but you know what toxicity does? It kills off the weak. It poisons those who aren’t cut out to be winners. Time and time again, President Allen and Mr. Snyder have shown that they are the unmistakable, undisputed, and unimpeachable leaders of this organization. It’s impossible not to be impressed by their skill at consolidating and retaining power, especially with President Allen’s ability, even in the presence of more &quot;talented” coworkers, to maintain a vice-like grip on the Redskins’ front office. A lesser leader would have lost control years ago. But not President Allen. Simply put, he’s a survivor, not unlike the noble cockroach, whose eternal nature is unsurpassed in all the animal kingdom. So, too, is President Allen’s. But all things must end eventually. Whatever the future may hold for this team, make no mistake: Once this era is over, we will almost certainly never see its like again. We should all note that fact, because understanding its singularity will help us all fully appreciate just how mind-numbingly astounding this era of Redskins history has been—and continues to be. Allen SURE showed him. He must be really proud of himself now. He should have brought Peter's out there and just kicked the ball right into Allen's face. Skins fan, friend of mine got a heaping mount of sand in his VaJayJay, when I texted him an article or two about how pathetic the skins fans are. This is the same guy who has texted me the standing of the NL East with the Nats leading and often during the Caps run last year. It's very typical of the entire fanbase - Can dish it out, but can't take it. My wife's cousin ( whos a major skins fan) put on his Facebook feed what a horrible experience he had yesterday at the game and how mean and nasty Eagles fans were. He also stated that Eagles fans are now his most hated over the Cowboys fans. Mind you, he didnt list an example or any cell phone footage. I was reading it and thinking how sad and pathetic he sounded. I didnt respond although I was tempted. 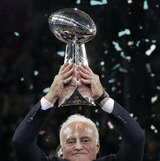 Yes, direct your anger at Eagles fans and not at your crappy owner and GM. 🤣 That whole fanbase is a pathetic crap show. Yeah, dont worry about his long term health or whether he can ever walk normal again. That franchise lost all sense of dignity and class years ago.